On International Women’s Day, Żminijietna - Voice of the Left said "that there had been very important developments in addressing gender equality in Maltese society, and in getting more women in the labour market. 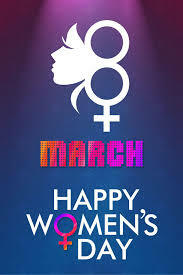 An end to gender inequality is important in achieving the well being of all people. 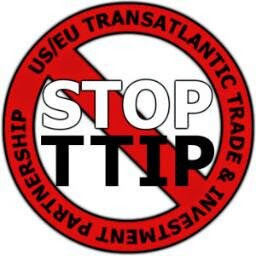 It also goes in line with the EU Strategic for 2020 -2025 for Equality between Women and Men”. “The way forward now is that of strengthening these initiatives by reducing by 5 % the gender pay gap, and reducing by 10 % the gender pension pay gap, along by increasing best practices in child care, the care for dependent persons and the elderly. Another important aspect is increasing more visibility and participation for women with disabilities in the labour market”. “Even amidst this progress, violence against women still prevails, the most vulnerable being women with disabilities, the elderly and migrant women fleeing from conflicts. Żminijietna encourages the Government to establish monitoring mechanisms to reduce all forms of violence against women and by adopting legislations which help to address prostitution, combat human trafficking and sexual exploitation”. 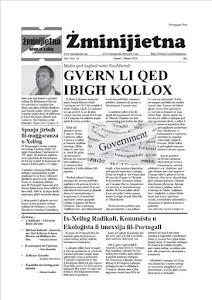 “Government should not promote precarious jobs in government contracts” – Żminijietna – Voice of the Left. 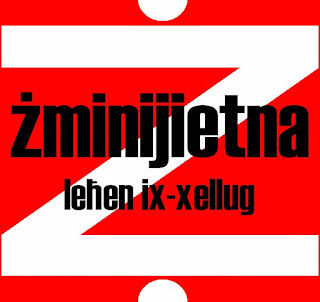 Żminijietna – Voice of the Left urges the Government to introduce the appropriate changes to the present procurement system with regards to public sector contracts for support services such as security, administration, care and cleaning services. 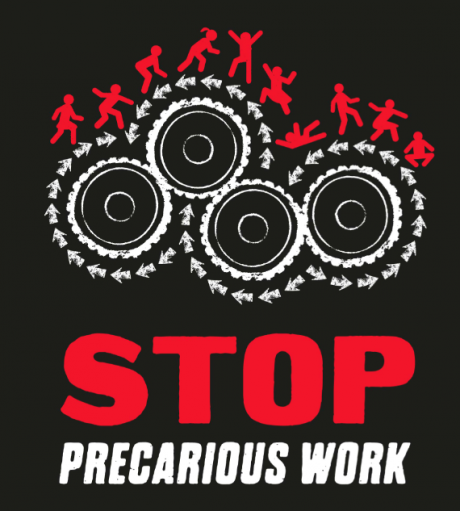 Contractual agreements with private entities for such services for a short period of time reinforces the whole system of precarious employment, such as temporary job contracts or forced jobs on a reduced hours. 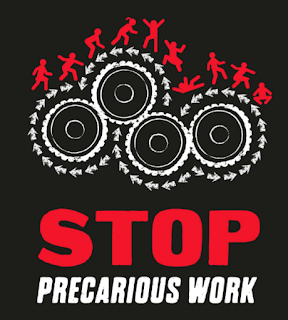 “It’s a shame that till date many workers engaged by private contractors to perform duties in the public sector are still being employed under precarious conditions of employment, particularly on very short term job contracts”. On the other hand, Żminijietna appreciates the work that is being taken by the Trade unions to fight against precariousness. Unions should come together and put more pressure on the Government to improve the current precarious situation of these workers. Żminijietna – Voice of the Left expresses opposition to the introduction of charges for the use of public conveniences. The leftist organization appeals to the Government to opt out from such measure in the reform to improve the managing of public conveniences. 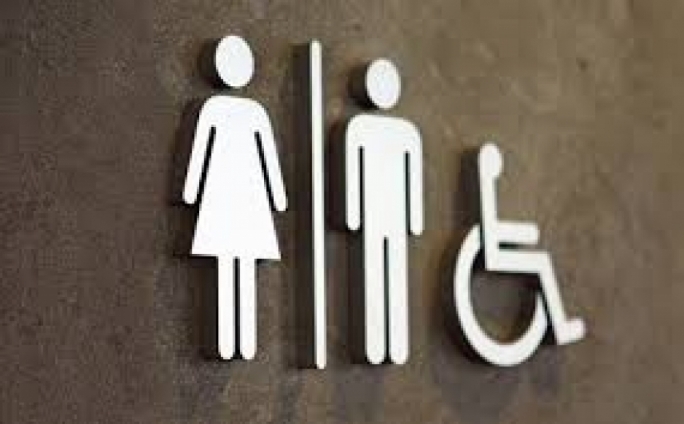 Żminijietna is infavour of capital investment to improve the environment and conditions of public conveniences, but access should not be restricted. Żminijietna insists for a more open public consultation with the civil society, local councils, and other organizations that are active towards the wellbeing of those disadvantaged members in the Maltese society. 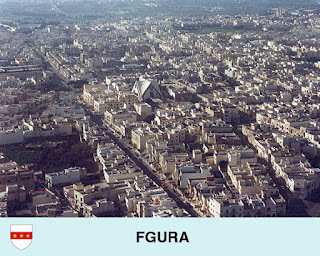 Żminijietna – Voice of the Left supports the stand being taken by the Fgura Mayor Byrone Camilleri (PL) against the proposed development of a supermarket, on a former scrapyard in Fgura. Żminijietna added that “with regards to the local plan, the plan stipulates that any development of the site should include recreational facilities in the form of public urban open spaces, social and community facilities as well as residential and commercial/retail development”. Thus Żminijietna - Voice of the Left appeals MEPA to abide by it's own policies and respect the rationality behind the local plan approved in 2006. Żminijietna - Voice of the Left calls upon MEPA Appeals Board to revoke the permit issued in 2014 for the development of a quarry in Wied Moqbol. MEPA should respect it's own planning regulations. 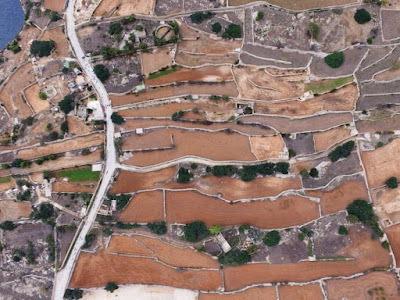 "The area indicated is of agricultural value and this is clearly specified by MEPA in it's policies, with reference to the Malta South Local Plan. Also the surrounding area of Wied Moqbol is designated as a Special Area of Conservation of International Importance under the Natura 2000 programme, due to the importance of the species as well as archaeological remains found there". NGOs Flimkien għal Ambjent Aħjar, Ramblers’ Association, Friends of the Earth (Malta), Din l-Art Helwa, NatureTrust Malta, MOAM, Sustainable Built Environment, Youth for the Environment, Greenhouse Malta, Kunsill Studenti Universitarji, Kopin, Gender Liberation, Graffitti, Zminijietna, Wirt iz-Zejtun and the Jesuits all echo the concerns expressed by the Għaqda Bajja San Tumas re the proposal to build an supposed agro-tourism development at Munxar/Xrobb l-Għagin. This is an Area of High Landscape Value, Area of Ecological Importance and Site of Scientific Importance, abutting on the ODZ area designated for a National Park in the current South Malta Local Plan 2006. The organisations are not against genuine agro-tourism, however a project of over 2,000 sq m on virgin land defeats the very purpose of agro-tourism, as any construction project this size would destroy a significant stretch of undisturbed natural landscape. This confirms the concerns voiced by eNGOs that in spite of the claimed restrictions imposed by MEPA’s new rural policy, it would simply be used as screen to develop in the countryside. In fact, this project is proposing to build administration offices, tourist accommodation, beach pontoon, swimming pool, a beauty and therapy salon, fitness centre, a wine bar, an activity hall and workshops, a restaurant and a fully equipped conference centre to cater for multi-purpose events. Most of these facilities have nothing to do with any real agro-tourism. The tag is simply being used to disguise a hotel development. Such a project would have a severe negative impact on the visual integrity of the park, would require roads to be created to service the complex, and could create light and noise pollution in the area. 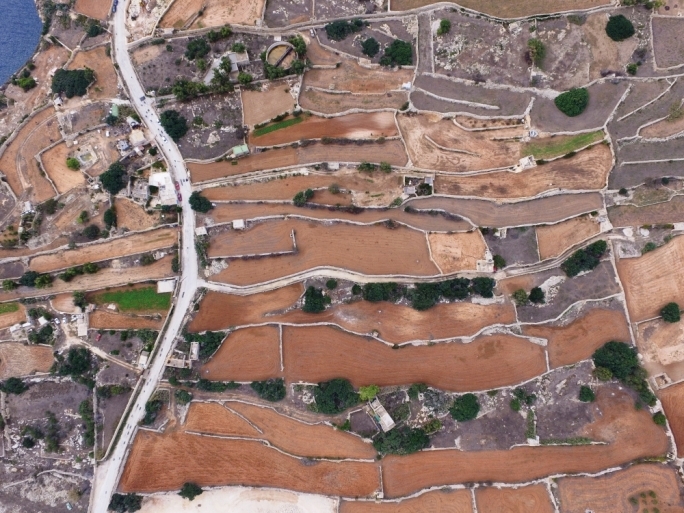 The proposal to build a campus at Zonqor would already deprive the area and Malta of one stretch of virgin land; Malta can’t afford to lose more. The NGOs firmly believe that no part of the ODZ is expendable for tourism projects; priority should be given to the redevelopment of abandoned prime sites given over to tourism such as the nearby Jerma Hotel, which lies derelict. 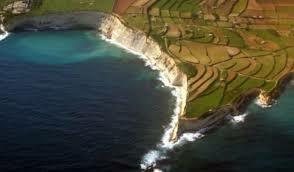 Malta is so small that the stated agro-tourism activities can be conducted with tourists accommodated in nearby vacant properties, of which there is no shortage. This would create a genuine national benefit. The fact that seventeen NGOs have come together on this issue shows how concern about the environment and quality of life is growing across every sector of society. Environment is very closely bound to social justice; is the public to be deprived of their areas of free, healthy recreation for the enrichment of the few? Physical and mental health and well-being depends on exposure to nature and the availability of unbuilt green areas for exercise and recreation. If these are to be sacrificed all over Malta, the authorities are putting short-term profit for the few before the health of the nation, which is totally unacceptable. This government is acting in the in favour of vested interests, not for the good of the Maltese public.